A threat to dunk the basketball no matter where he is on the floor, Brown made some big highlights in Friday’s win over CIA Bounce. The 6-foot-7 junior is a high rise and explosive athlete. He’s always hunting alley-oops and works his tail off without the basketball to get them. Also a 3 and D wing, Brown knocked down perimeter jumpers at a good rate and was a stopper all day defensively. He created a handful of turnovers and made some really good players look average with his ability to shut people down from the outside. Brown dropped 18 points in a win over CIA Bounce. Carton and Quad City Elite breezed to an opening round win over BC Thunder. The rising point guard didn’t need to do much, but finished with 10 points and five assists. Carton can be effective without scoring. Against a zone, the 6-foot-1 junior played at the high post and whipped passes to open shooters. When it was his turn to go, Carton generated just about any look he wanted, too explosive and too skilled on the ball for any defender that was on the floor. Defensively, Carton’s anticipation skills are top notch. Whether it’s picking off passes or cutting off the ball handler in the open floor, Carton always seems to be one step ahead. Team Harris nearly pulled off an upset over DreamVision on Friday. For much of the game, Henry was dominant on both ends. Henry was a pest defensively, playing hard-nosed, aggressive defense and getting his hands on the ball. Against bigger opponents, Henry would wall up, take hits, and make it tough to score on the interior. The 6-foot-6 wing is strong and crafty with the ball. Not fazed by pressure, Henry was poised and blew past defenders to the rim. Holding a couple of high major offers, Henry is rising this week after playing well against some of the best talent in the country. Once again, Herro continues to play some of his best ball. The Wisconsin commit had 19 points, only missing one shot from the field, in a win over North Pole. Herro has a deadly pull-up game. He’s able to create so much space off the bounce and elevates very well on his jumper that it’s hard to take him out of a rhythm. On fire all week, Herro even did a number of heat checks on Friday, taking difficult shots early in a possession, but even that wouldn’t cool him off. Continuing to climb up the rankings, Herro definitely looks like he belongs among the top 5-6 shooting guards in America. If you’re defending Nickelberry, keep a hand up and never put it down. It’s very difficult to fluster and make this kid uncomfortable out on the perimeter. Even when he’s defended well, Nickelberry finds ways to get a rhythm look. He sparked Game Elite’s comeback win over CIA Bounce Friday morning, connecting on three consecutive triples en route to a game-high 24 points. Nickelberry is deadly from beyond the arc, but is strong and a good enough ball handler to play around the rim. He runs the floor exceptionally well, hunting triples early in the shot clock. Nickelberry looked to be comfortable a good 4-5 feet beyond the perimeter as well. I love guys who can impact the game without scoring. Ramey is the definition of a pure point guard. A kid that would rather see a teammate succeed than himself, Ramey puts the team ahead of his own stat line. Ramey rarely took a shot that wasn’t a layup on Friday, but that doesn’t mean he lacks confidence as a scorer. When the lights are brightest, he’ll show up. 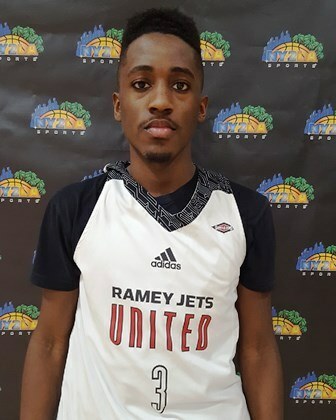 A point guard who can probe and bait defenders to the ball, Ramey has terrific patience and vision and makes sound decisions with the basketball. One of the best two-way players in the country, Ramey will give you 100 percent every possession on that end and forces a ton of miscues throughout a game. The Louisville commit only had a couple buckets, but his impact was far greater than what the scorebook said. Shittu flashed some things in a loss to Game Elite. The 6-foot-8 forward has some of the best potential in the 2018 class because he’s still developing offensively and defensively, but has some exciting length and athleticism. Shittu loves to size his man up and create something going to the hole. He’s long enough where he can finish against multiple defenders and can get two, three attempts off misses before opponents are able to move him off the glass. Shittu isn’t much of a threat outside 10 feet, but if that part of his game develops, he’ll be virtually unguardable. Shittu is a solid shot blocker. Because of his size, Shittu is forced to defend on the block probably more than he would like, but with time in the weight room he could be a strong interior defender at the next level if needed. The Wisconsin Jets were up against it versus Game Elite, but actually made it a pretty competitive game. A large part of that was Anderson’s shooting from 3-point range. The Jets were just outside striking distance most of the game and when they needed a shot, Anderson delivered. The 6-foot-4 shooting guard took advantage of an aggressive, chaotic defensive approach. As a result, he was able to float to the corner for open triples or create good looks with a pump fake, one dribble jumper. It’s a crime that Bennett doesn’t have more Division 1 offers and attention. Bennett was filling it up early against a good Team Power squad, scoring in double figures in the first half. Bennett takes what the defense gives him and always seems to generate a good look from the field. The 6-foot-3 guard has an advanced mid-range game, which opens up everything else on the floor. Bennett may not have desirable athleticism, but he’s long, plays hard, and has lock down ability on the defensive end. A joy to watch, Crockrell is a fantastic point guard. 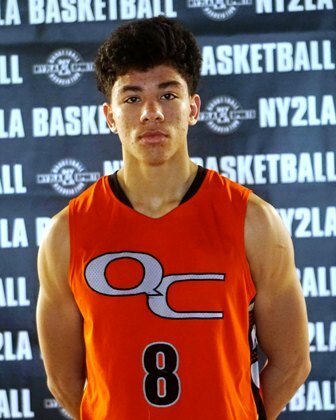 A kid that knows how to manage talent, keep everyone happy, orchestrate the offense, and control the tempo of the game, Crockrell is a dream floor general. He might be undersized, but the 5-foot-10 junior is super quick and has plenty of sauce with the basketball. Crockwell will do some incredible things with the basketball in the open floor. During Friday’s win over the Wisconsin Jets, Crockrell got more of an opportunity to showcase his offense. Shooting the ball well from 3-point and mid-range as well as taking the ball to the hole, Crockrell showed he can take over a game when called upon. This is a kid who’s quietly had a good, consistent weekend and it’s paying off as Foster has landed a couple of offers. At 6-foot-5, Foster has great size for the point guard position. He’s a pass-first floor general that loves to drive and dish. However, if help doesn’t come into the paint, Foster will surprise people with his explosiveness and can just about put his head on the rim. The jumper is a work in progress. He’ll have to live with being a facilitator and taking most of his shots from in close, but Foster has shown an understanding of how to run a team and make others better. He took some lumps in the EYBL, but that experience seems to have paid off. Davis bailed the Playground Warriors out Friday night. Getting a stiff test from the Illinois Irish in the first round, the Warriors found themselves in a dog fight that was still up for grabs up until the final minutes. Davis pushed PGC over the top with relentless defensive pressure and hard drives to the rim. Davis is terrific on the ball, getting into people with his body, and disrupting the offense’s flow. Also an impressive slasher, Davis lives at the rim, using a quick first step to blow by his defender. Davis needs a jumper to complete his game and if he gets it, we’re probably talking about a high major prospect here. Mitchell willed DreamVision to an overtime win over Team Harris. Overcoming a 13-point halftime deficit, Mitchell was outstanding on both ends of the floor. His defense on a talented Team Harris backcourt was a big difference maker. Mitchell flustered opposing wings with physical defense and was able to poke the ball loose for a number of turnovers. Whoever had the hot hand, Mitchell immediately switched to them and shut him down. Turning the game into a fistfight, Mitchell just relentlessly attacked the rim. The 6-foot-6 wing got to the foul line a ton and was also able to power his way to some tough finishes around the basket. Also knocking down a couple of triples, Mitchell had one of the best and must clutch performances of the week. Pinkley had a breakout performance in a win over Triple Threat. The 6-foot-8 senior is a quality stretch forward and he made the defense pay for weak coverage. With so much attention going to Courtney Ramey and Torrence Watson, Pinkley gets a lot of good looks on the perimeter. He was excellent in the pick n’ pop game and making himself available for triples. On the glass, Pinkley also made a number of hustle plays and kept things alive by fighting for offensive rebounds. D.J. Carton drew Wisconsin, Creighton, and Iowa at his game on Friday. Only the Badgers have offered among that group. Ohio State, Minnesota, Nebraska, and others are also interested at this time. 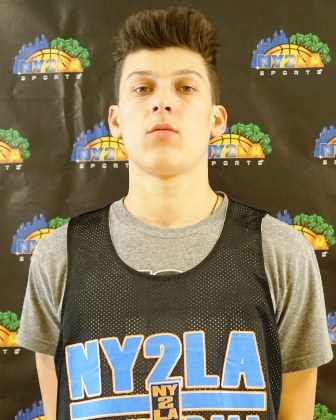 Carton holds other offers from Marquette, North Dakota, and IUPUI. Matt Mitchell said he’s been hearing from San Diego State, Utah, Georgia Tech, USC, LSU, and West Virginia. Pierre Crockrell has offers from Houston and Montana. Arizona, Washington, and Oregon are among those expressing interest.